When I heard that there is a product that can get stinky smelly deodorant stains out of t-shirts that have been there for years I had to try it out for myself. Deo-Go is a new formula designed to be 100% effective in removing hardened, build up stains which appear on the armpits of clothing. All you need to do is spray it on the under arms of your stained shirts and let it soak for 20 minutes. 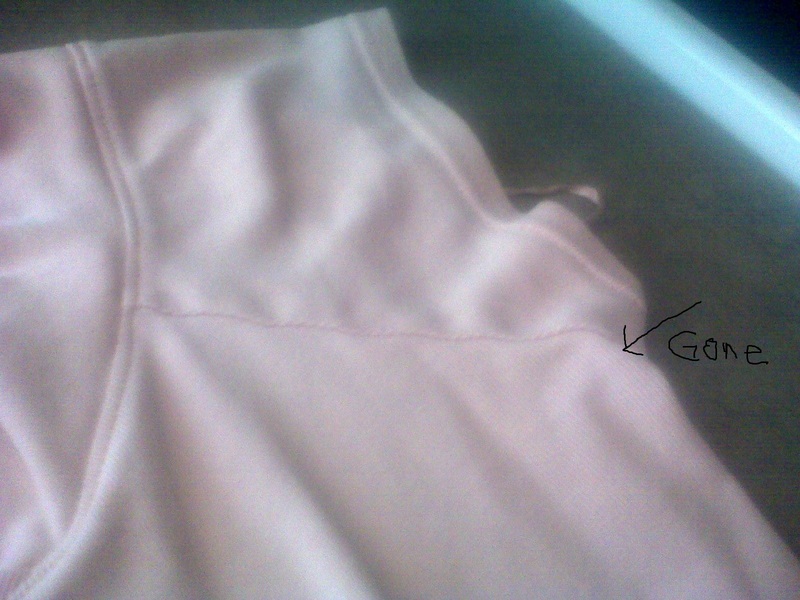 Then throw the garment separate from your regular laundry in your washing machine. If the stain doesn’t come out the first time you can repeat the process. I don’t normally wear pink, however about twelve years ago I purchased a pink t-shirt and it is the most comfortable t-shirt I own. The stains under the armpits are so bad that the shirt now has an offensive odor. When I applied Deo-go to the stains and followed the directions on the bottle I was surprised at the results. 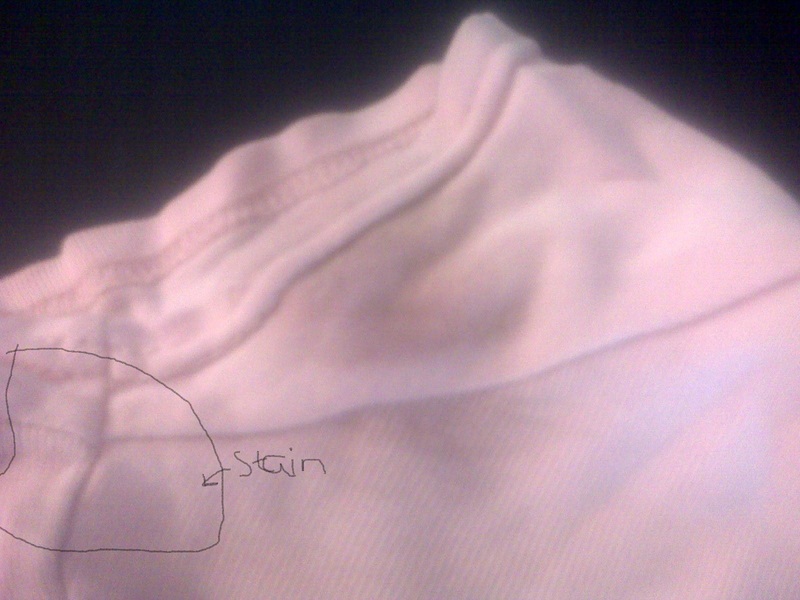 After letting the shirt soak in Deo-go for 20 minutes and washing it all by itself, the stains still did not come out. But once I treated it again, this time letting it soak overnight they came right out. This product does work, but if your stains are really ground in like mine it might take a couple of tries. The lighting isn’t very good in these photos so you may not see the stain, but if you look close it is there. Is Deo-go worth the investment? You can purchase a bottle of Deo-go online for $11.49 and it will treat up to 15 shirts. They also have a money back guarantee. If their product doesn’t get the stains out then you can get your money back. The average price of a t-shirt is around $10-15 so if you throw away 15 t-shirts because they have stains on them you are throwing away $150-225. If you value your t-shirts then that is a hug chunk of change and yes, Deo-go is worth the investment. To learn more about Deo-go and purchase a bottle visit getdeogo.com. *Disclosure: I received a bottle of Deo-go in exchange for this review. All opinions are accurate and 100% mine.